I was outside reading "The Honeymoon Effect"--a relationship book-- under the stars, on a beautiful summer's night. And realized WE ARE EACH AGENTS unto ourselves. We are NOT "set". We are not "called" to do just one thing like robots. When WE change, the stars change! That's why Astrology is NOT a perfect science. WE are always changing. That's why, when our telescopes happen upon star clusters, we detect the feeling of "Creation is Happening!" WE create our lives with the Aid of the Stars--The Intelligences; light and truth. Jesus Christ is HELPER of Mankind--The Lord--Our "husband"--With Him we have the Power to ACT and NOT Be Acted upon--The Power of Creation is innate within us, because our spirits came from God. Are we not called the "children of God"? And "Made in God's Image"? We can become Perfected Souls of Pure Light & Intelligence, and have Glory and Power to Act and NOT be acted upon.....The Gods, and Holy Angels and Guardians are eager to teach us everything they know, so we can be powerful too! WE make Covenants to BIND the Lord--to Help Us--to Get back "Home" to Light, Love, Pure Liberty and Joy. "Endure to the End" has to do with our SOUL's enduring to the end of our mortal frame--our Dust. 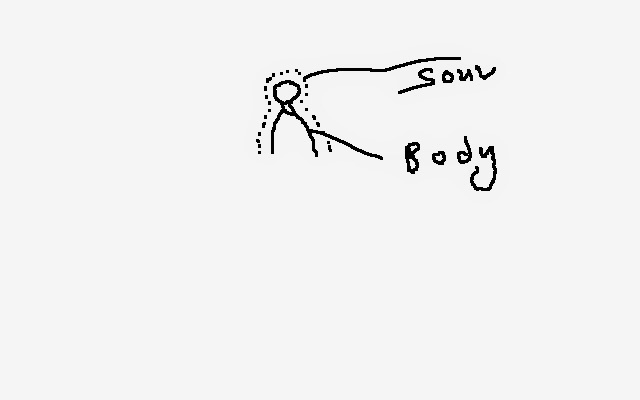 Our SOULS are the "Real You", or our "Light Body". The MORE we can--and DO--Live IN our Souls--as Observers and "master" over--the better off--Happier--we WILL BE. "Be One even as I and the Father are One," is; "Let's be ONE SOULS--body--purpose--not blended, but HEAR each other--love each other. Remember how Happy and peaceful you were when you knew the Love of God. Light of God. Get to know your spirit/soul; then get to know other's spirit/soul--so you can truly "Love thy neighbor as thyself." Is your Soul in charge--the one that lives on and on and on... or your Dust? --physical, mortal Body....the one that dies.